The newest stunning and unforgettable contemporary realistic romance from the New York Times bestselling author of 99 Days, Fireworks, and How to Love. 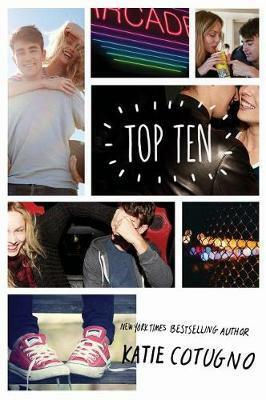 Perfect for fans of Sarah Dessen, Jenny Han, and Morgan Matson. Ryan McCullough and Gabby Hart are the unlikeliest of best friends. Prickly, anxious Gabby would rather do literally anything than go to a party. Ultra-popular Ryan is a hockey star who can get any girl he wants--and frequently does. But somehow their relationship just works; from dorky Monopoly nights to rowdy house parties to the top ten lists they make about everything under the sun. Now, on the night of high school graduation, everything is suddenly changing--in their lives, and in their relationship. As they try to figure out what they mean to each other and where to go from here, they make a final top ten list: this time, counting down the top ten moments of their friendship.